At Argo Group, we’re motivated by tomorrow. We’re motivated by the challenges, growth and changes tomorrow will bring. We’re motivated by the opportunities we’ll have to secure success for our clients, employees, shareholders and communities. Our strong 2015 financial results were born of our unwavering focus on success to these stakeholders. We’re innovating, simplifying how we work and leveraging more technology to ensure tomorrow is even better than today. 2015 was a year of many changes and no surprises. Having said that, we stayed true to our strategy of being a specialty insurer with multichannel distribution and global reach. We made wide-scale changes to our systems and processes, built a stronger, more focused team, invested in technology and innovation, introduced new platforms and products and, above all else, spent time getting to know our customers and developing better solutions for their risk needs. Our purpose all along has been to help businesses stay in business. We do that by mitigating the risks inherent in what they do. 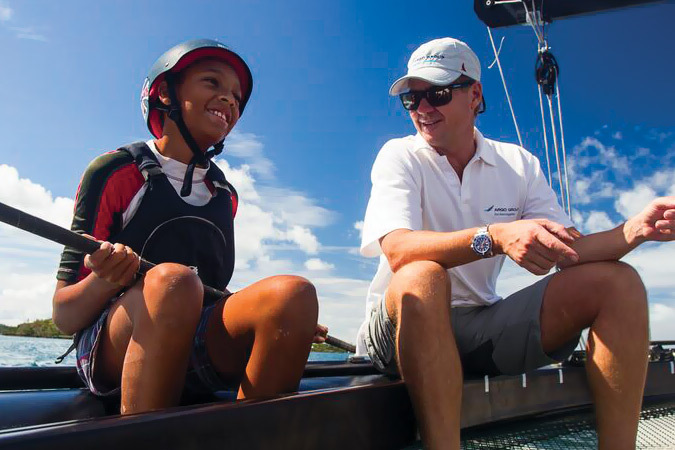 Argo is a specialty insurer, and our customers have remarkably different needs and ambitions. The products we provide them must be highly targeted, and the underwriters who serve them must have deep domain expertise in a broad variety of disciplines. This year, we began simplifying how we do business; we still have a lot of work to do. We also continued making the sweeping improvements that allow us to be leaner, smarter and more profitable. We believe these changes will put a team in place with better tools than ever before. The strength of our underwriting results and our record underwriting profits for a second consecutive year prove the merit of our efforts. We grew our premiums to more than $2 billion in 2015, another record for our company. We achieved this growth even as we deliberately exited several lines of business during the year. As such, we now have evidence of solid, underlying growth within most of our business segments. Our overall underwriting income grew from $51.5 million the year prior to $66.2 million this year, a 28.5% gain and a record level for Argo. We achieved a net income of $5.72 per diluted share and operating earnings per share of $3.70. To you, our shareholders, we delivered a return on average shareholder equity just shy of 10% for the third consecutive year. The most important factor in that achievement was risk selection and underwriting discipline. In 2015, we posted a combined ratio of 95.2%, just a hair off a goal we set in 2012 of delivering five points of underwriting profit. A significant contributor was the companywide program of systems and process improvement — a global effort to simplify the way we operate. Our mandate was to abandon any procedure or step that does not produce something our customers need, want and value. And as I mentioned earlier, simplification was also key to lowering our expenses, an achievement reflected in our improved expense ratio of 39.4%. In our Excess & Surplus Lines business, gross written premiums were up 11.9% for the year. We achieved growth in our casualty unit, our largest business by volume within E&S, of 22% against a backdrop of a market with slow to no growth. This is due in great part to our investment in technology and overall process improvement. We also benefited from growth initiatives in our professional lines business Argo Pro, which is an area we’ve been focusing on for the past few years. 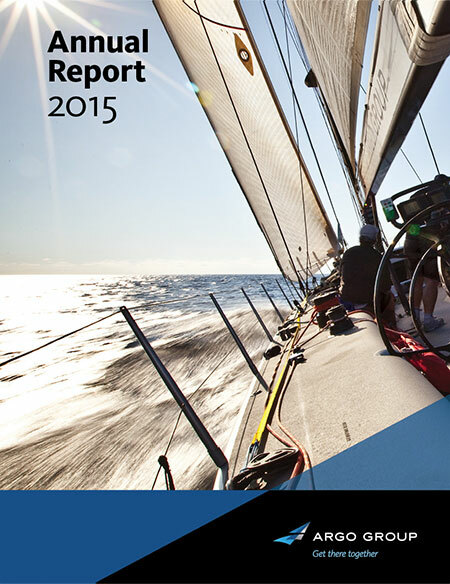 2015 was a year of improvement in most businesses within our Commercial Specialty segment. Overall, premiums were up 5.8% in the calendar year, driven by our program and public-entity businesses. While we continue to see growth in our underwriting results, strong competition made it impossible to achieve the rate increases we would have liked. We continue our focus on profitable relationships in this segment, driving results through deeper customer knowledge, particularly with our policyholders. Our Syndicate grew modestly in 2015 with gross written premiums up 3.8% as competition remained robust in the Lloyd’s market. This year, we stayed focused on expanding our core business while establishing new products in areas where our strengths should serve us well. We did this by building on our strong relationships with our brokers, continuing to attract new trade capital, and by pursuing new Lloyd’s business around the world. Positive growth came from the North American property account and new specialty classes of risk added in recent years, including international casualty treaty and the launch of our platform in Asia. Looking ahead, we see additional opportunities to grow by collaborating with other Argo Group business segments, in particular the U.S. to deliver unique solutions to meet customer needs. Performance in our International Specialty segment showed a decline of 3.9% over that in 2014. Part of this reflects the challenging economic environment in Brazil, including weak local currency. In response to market conditions, we made selective changes to the business and are beginning to see positive results. For example, the combined ratio in this segment improved to 84.9%, a consequence of lower losses and loss adjustment expenses. International Specialty continued to explore new technologies aimed at helping to identify and capitalize on underwriting opportunities more quickly and easily. We continued advancing our Protector platform as an innovative online offering that taps into new segments for us. We also launched a digital product platform for our directors and officers liability insurance product in Western Europe. Despite the challenging market, we believe our business is positioned for growth in 2016. Our team gets better every year, and this year we were pleased to welcome Stuart Boyne as Senior Vice President and Chief Human Resources Officer. Stuart will take a leading role in modernizing our HR function, giving our teams the support they need to be efficient and innovative. Alex Hindson joined as our Chief Risk Officer to spearhead a wide-reaching program of enterprise risk management with a goal of building on our strong set of risk management processes and enhancing our risk-aware culture. Phil Vedell will serve as Chief Operating Officer, responsible for overseeing operations in the U.S. And David Lang was appointed to serve as Chief Operating Officer at ArgoGlobal, leading an ambitious growth agenda for our Syndicate 1200 business in 2016. Even as company operations undergo deep changes to ensure that Argo stays innovative, responsive and profitable, many aspects of our culture remain unchanged. An important example is the commitment of our team members to the communities in which they live and work. 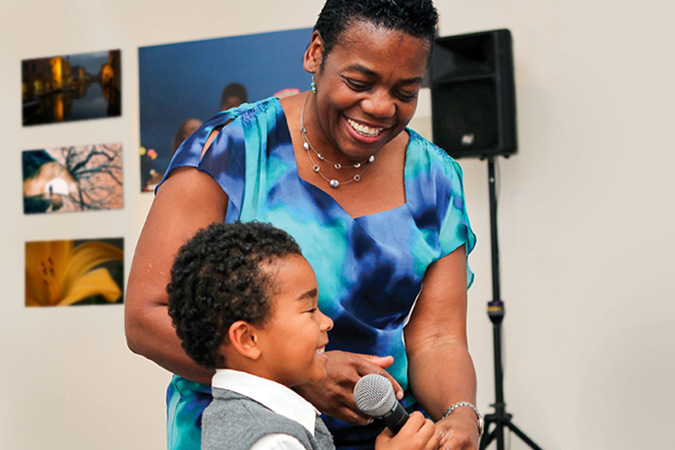 This year our Argo Foundation in Bermuda and Community Relations Committees in London, San Antonio and Richmond provided more than 70 local community organizations with Argo funding. 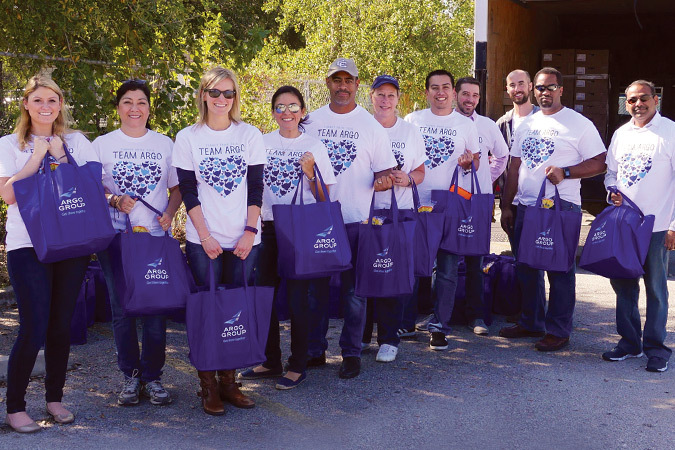 Elsewhere, the Team Argo Employee Volunteer Program rallied Argo professionals in project-specific groups to assist in community development around the world. And once again, our Argo Matching Gift Program supported the causes of greatest personal interest to our team by matching their donations with funds paid directly to charities. We are proud of the responsibility shown by our employees last year and remain committed to encouraging and supporting them in their efforts. This year’s comprehensive program to bring simplification, automation and unwavering customer focus into every corner of the company is elemental to our strategy. We continuously improve the way our company operates. As such, we will go on making tough decisions, confident that the reasons we were better this year are the same reasons we can continue improving. Our investments in business processes, technology and people allow us to serve our clients better, faster and easier. We can now better select risk and better manage our portfolio mix. Our investment in people has built a more nimble team than we had even three years ago. By outsourcing all but core functions, that team now has the time to focus on making better decisions. We have a better distribution platform today and better business processes to support everything we do. After 12 consecutive quarters of deliberate, solid, consistent growth, we are confident and inspired to do better. I offer my sincere gratitude to the Argo team for a year of extraordinary effort. The work is paying off. Argo’s success is directly linked to the intellect, commitment and enthusiasm of our team members. We take the time to hire high-potential individuals, and we invest substantially in their ideas and ambitions. Our ability to create value for stakeholders is rooted in a spirit of entrepreneurship and a passion for redefining what’s possible. We work with agents and brokerage partners in markets worldwide. Of course, we’re humbled to hear them describe the experience. Argo Group achieved another record year of performance in 2015. Argo Group gross written premiums grew to more than $2 billion in 2015, a record for the company. In a highly competitive environment, Argo Group’s portfolio of brands continues to create tremendous value for clients and policyholders. Our Excess & Surplus Lines segment insures risks typically not underwritten by the standard market. Colony Specialty underwrites property and casualty risks. Argo Pro underwrites small- to medium-size professional liability risks. Fast, smart, eager. These fundamental tenets of Argo Group’s business philosophy were on prominent display in our Excess & Surplus Lines segment in 2015. Colony Specialty’s casualty line and Argo Pro’s professional liability lines turned in particularly strong performances. Casualty, our most profitable Excess & Surplus Lines division and also one of our fastest-growing lines, saw gross written premiums jump 22%. Gaining access to new business has never been an issue in the hypercompetitive casualty market. Instead, our challenge has been to find the best business from the wealth of possibilities — without simply throwing more staff at the task. Today we’re doing a much better job of that thanks to improvements in our business processes and the maturation of our underwriting system, Argo Edge. Launched in 2013, Argo Edge enables us to more quickly and accurately identify the most attractive pieces of business and then make faster, smarter underwriting decisions. We anticipate further efficiency improvements from this system as we continue to reinvest in and refine the underlying technology. Argo Pro, another of our faster-growing lines of business, saw gross written premiums increase thanks both to organic growth and the acquisition of OneBeacon Insurance Group’s Lawyers’ Professional Liability book of business in December 2014. We recorded a smaller but notable success story in our transportation business, which shrank significantly in 2015 following our exit from the bulk of that market in 2014. However, the business we retained was, on average, more profitable. Today our transportation business is focused on the garage market, where in 2015 we saw increases in gross written premiums, earned premiums and underwriting income. Overall, our Excess & Surplus Lines segment enjoyed an 11.9% increase in gross written premiums in 2015. Gains in our casualty and Argo Pro businesses were offset in part by reduced writings in Colony Specialty’s transportation, contract and property lines. A broad embrace of apartment living in major U.S. cities is driving the construction business — and keeping phones ringing at the 14 offices of wholesale broker Partners Specialty Group (PSG), which does considerable business in the industry. Commercial Specialty serves niche industries and businesses through six risk-bearing divisions: Argo Insurance, Argo Surety, ARIS, Commercial Programs, Rockwood and Trident. In addition, our Alteris division operates non-risk-bearing agency and brokerage businesses. Client Profile: TRX Insurance Services, Inc. The Commercial Specialty segment turned in another strong performance in 2015, highlighted by the ongoing turnaround of our Trident public entity business and the continued growth and profitability of our Argo Surety division. Trident returned to profitability following two years of extensive structural and managerial changes within the division. These changes included strengthening the division’s talent base across all disciplines and upgrading the analytical tools available to the team. The results can be seen in Trident’s improved retention rates and profitability. In 2015, Trident booked more than $100 million in gross written premiums, while reducing its combined ratio. We anticipate continued improvements in this division in 2016. Built from scratch beginning in 2008, Argo Surety is a testament to Argo Group’s ability to achieve organic growth by identifying and exploiting new business opportunities. In 2015, Argo Surety’s new Hamilton, New Jersey, office became fully operational, and the division is now contributing in a meaningful way to the company’s bottom line. Gross written premiums grew and underwriting profit increased. The division’s combined ratio also improved. Overall, gross written premiums for the Commercial Specialty segment increased 5.8% in 2015. Gains in the commercial and surety lines were offset in part by declines in the grocery and retail units and in the segment’s mining unit, where customers and potential customers continued to be pressured by a persistent slump in commodities prices. Earned premiums ticked modestly lower in 2015, falling less than a percentage point. However, a reduction in losses and loss adjustment expenses, plus lower underwriting, acquisition and insurance expenses, led to a sharply improved combined ratio of 93.8% versus 100.2% a year earlier. The decline in expenses was attributable primarily to an increase in the fronting fees we received, coupled with reduced accruals for premiums taxes and other assessments as the result of a revised accounting estimate. Few companies want to insure taxis. Most are fleet-owned and driven by different drivers, multiple shifts, in all kinds of conditions, says Rick Metz, President of TRX Insurance Services, Inc.
TRX takes a different approach, focusing on independently owned taxis — in other words, taxi drivers who own their cars and their businesses. International Specialty underwrites property catastrophe reinsurance and other risks worldwide from offices in Bermuda, Dubai and Malta. Argo Seguros underwrites cargo and marine, property and engineering, and financial lines in Brazil and other Latin American markets. The International Specialty segment continues to explore new technologies that can help identify and capitalize on underwriting opportunities more quickly and easily. In 2015, we created an online digital platform in Europe — ArgoGlobal Business Connect — for our directors and officers liability insurance product. The platform makes it easier for customers, especially small- to medium-size enterprise customers, to do business with us. ArgoGlobal Business Connect will be available in Germany in mid-2016. Meanwhile, we already operate a similar online platform — Protector — in Brazil. It gained additional traction in the marketplace last year, although our results in that country were pressured by the unsettled economic climate there and the subsequent deterioration in the value of the Brazilian currency, which had a negative impact on our results when translated to U.S. dollars. In response, we have made select changes to our business there and are beginning to see positive results. Our Bermuda-based casualty and professional insurance team, established in 2009, increased net earned premium by 18% in 2015. Gross written premiums remained flat due to rate reduction and changes to the mix of business. The results were primarily achieved through collaborating with clients on product development and continued marketing initiatives. Elsewhere, to further boost production in our International Specialty segment, we will transition our Argo Re operation in Dubai to our Syndicate 1200 segment in 2016. This will allow the Dubai operations to take advantage of the licensing and platform efficiencies available through the Lloyd’s of London market. The segment’s property catastrophe reinsurance business continues to be pressured by fierce competition, not only from established players but also from new players outside the insurance industry, primarily hedge funds. In negotiating this rapidly shifting landscape, Argo Re’s relatively small size has allowed us to operate nimbly, moving quickly into the market as attractive opportunities present themselves and pulling back when pricing becomes unattractive. Despite the downturn in gross written premiums in 2015, earned premiums increased slightly. The improvement was attributable primarily to a reduction in the segment’s ceding percentages, coupled with modest changes in our business mix, including a tactical pullback in the surety sector. Losses and loss adjustment expenses also fell in 2015, highlighted by a reduction in loss reserves due to favorable developments on prior-year business. The segment also sustained slightly lower catastrophe losses. Owing to the improvement in losses and to roughly flat expenses, International Specialty’s combined ratio improved to 84.9% in 2015, down from 89.2% in 2014. As Argo Seguros continues to expand in Brazil, so does business with international brokerage firm MDS Insure. The Argo Seguros team’s turnaround time on the phone also simply outpaces the competition, Goldenberg says. Recalling a time when a shipping client called with a unique need for extended coverage of freight sitting idle in a warehouse, Goldenberg says he was impressed by the team’s fast response: “I could see they used all their knowledge and contacts to provide a solution,” he says. Syndicate 1200 underwrites worldwide property, specialty and non-U.S. liability insurance within the Lloyd’s of London global franchise. It operates through five divisions: property, liability, marine and energy, aerospace, and specialty. Client Profile: Arthur J. Gallagher & Co. In line with Argo Group’s commitment to continuous improvement, Syndicate 1200 focused its activities in seven key areas in 2015. We worked to expand our profitable lines of business while also establishing new products in areas where we believe our strengths will serve us well. We sought to strengthen and broaden our already strong relationships with London brokers and to support the Lloyd’s platform in London and outposts around the world. We continued to pursue capital from other members of the Lloyd’s market. We partnered with colleagues in other Argo Group business segments to meet customer needs. We worked diligently to attract new talent. We also continued development of a data warehouse that will allow us to meet the reporting requirements of the European Union’s Solvency II Directive. We are pleased to report progress in all of these key areas. Operating in one of the insurance industry’s most competitive markets, four of Syndicate 1200’s five divisions wrote more premiums in 2015 than they did in 2014. In just its eighth year as a member of Argo Group, Syndicate 1200 solidified its position as a core contributor to Argo Group’s results. The bulk of the segment’s growth in 2015 was driven by its North American binder business; by new classes of risk added in recent years, such as international casualty; and by the launch of the segment’s platform in Asia. The only division to post lower gross premiums was marine and energy, operating in a sector where results were pressured industrywide by a continued dramatic slide in oil prices. Looking ahead, we see additional opportunities for Syndicate 1200 to grow, in part by collaborating with other Argo Group business segments to deliver solutions that would be difficult to provide independently. These efforts will be overseen by a largely new leadership team, including David Lang, who in 2015 was named Chief Operating Officer of Syndicate 1200. Overall, Syndicate 1200’s gross written premiums grew 3.8% for the year. Earned premiums fell modestly — by just less than 1% — largely because the segment reduced its participation percentage in its Lloyd’s syndicate to 68%, down from 75% in 2014. This had the offsetting effect of boosting fee income. Underwriting income declined 32.1%, due in part to increased catastrophe losses, including $3.5 million attributable to the port explosion in Tianjin, China, in August. Nonetheless, Syndicate 1200 was able to post a combined ratio of 94.1%, in part by shrinking fixed expenses to offset increased commission and broker expenses. At Lloyd’s of London, quickness wins every time. The success of brokers is built on their ability to find attractive risk solutions for customers’ needs. But a challenge for many of them is connecting with the underwriters who price the risks. For Rowe, ArgoGlobal’s approach makes it possible to work through challenging scenarios in short order. “It’s the forward thinking,” Rowe says. “ArgoGlobal always looks at ways to do it, reasons to write the business rather than not to write the business, which is what we need. Team Argo was out in force again in 2015. 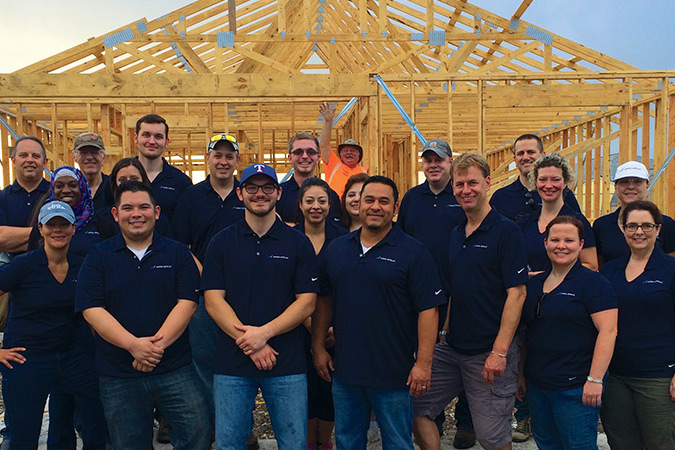 Our employees proudly volunteered hundreds of hours to secure the future of the communities where we live and work. 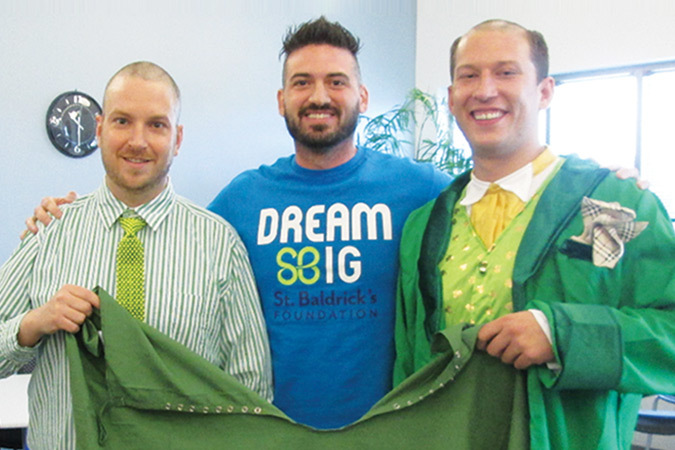 Employees also made financial contributions, which the company matched at 150%, to more than 175 nonprofit organizations. Argo Group International Holdings, Ltd. common stock trades on NASDAQ under the symbol AGII.